Factoring in travel time between venues, I only caught a couple songs by them at the end of their set, but what I heard, I liked. They had a jerky, math rocky sort of sound, maybe a bit like Don Caballero, but more frantic. 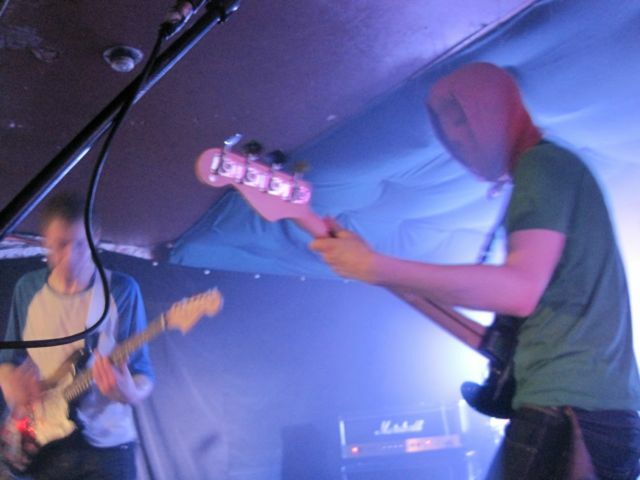 Also, their bassist wore a scarf/mask kind of thing to cover his face and head, which is kind of cool. Adebisi Shank are also playing tonight (March 11) at The Hideout at 12:00. Be there or be shanked.